To celebrate Bridge at Museum of London Docklands, the museum – in collaboration with Sound & Music – commissioned Scanner to create a new, immersive sound installation. 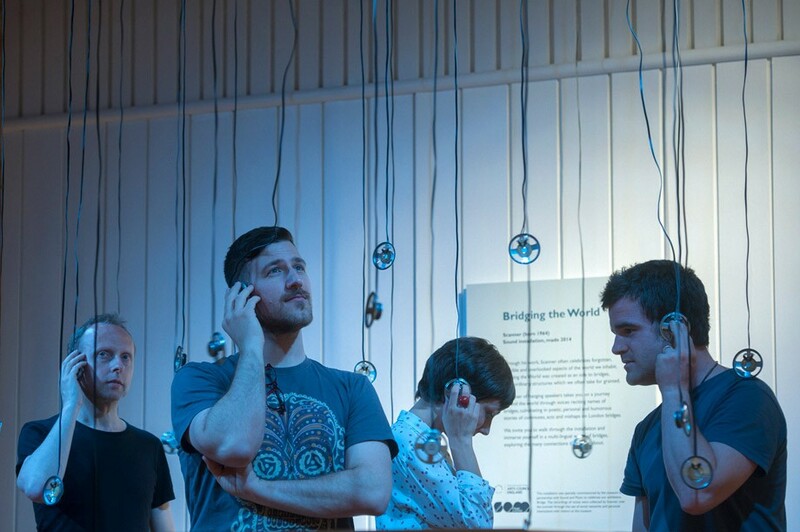 Entitled Bridging the World, the installation was launched mid-way through the exhibition run at the Late London: sonic city event, on 5 September at the Museum of London Docklands. The sonic installation had an international focus; taking the spectator on a journey through a river of hanging speakers within the museum, suspended in mid-air. Each speaker broadcast recordings collected from people in London and across the globe saying the names of bridges and converging in personal stories and responses to London’s bridges. A celebration of the invisible, this immersive installation worked so that even when visitors have left the building, they will continued to think about the city around them.